Tyrrell Paving Inc. is proud to be family-owned. Tyrrell Paving Inc. has been building and maintaining roads, parking lots and driveways throughout Rockland County since 1965. Unmatched with years of experience in the industry, we are dedicated to quality workmanship and superior services. At Tyrrell Paving Inc. we put our family name on the side of our trucks and put our integrity on the line with each job. We take pride in our reputation; we worked hard to build it and continue to work hard to maintain it. For more than 45 years, we have worked hard to gain a reputation as a company where quality is always number one. We offer the best service for all of your commercial, industrial and residential needs. 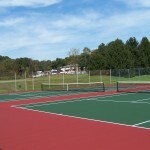 Tyrrell Paving Inc. also specializes in athletic surfaces such as tennis courts, basketball courts and running tracks. 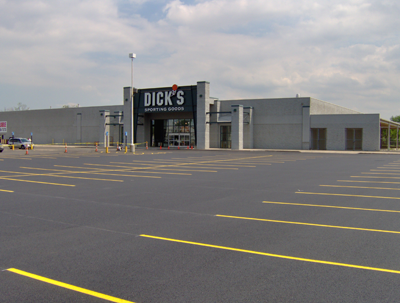 We are experts at all types of repairs including patching, milling, resurfacing and complete asphalt pavement replacement and reconstruction. In addition to our paving services we also provide grading and hauling services as well as commercial snow removal. Tyrrell Paving Inc. is a fully licensed, fully insured, fully bonded and a member of the Better Business Bureau. 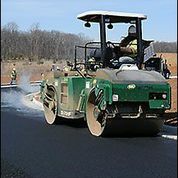 Before planning your next asphalt job, contact us to learn how we can put over 45 years of experience to work for you. We are happy to provide pavement evaluations and free quotations upon request.